Are you frustrated with your concealer not lasting all day? Are you tired of your concealer creasing under your eyes? Do you wonder why your concealer sets into your fine lines and wrinkles? Never fear, Anjelique is here! I've got all the steps, tips and tricks you'll ever need! 1. Make sure your under eye area is makeup free. If you're concealing your under eye area after you have applied foundation, make sure that your foundation has not touched this area. Extra product under the eye is what makes your concealer move and crease. 2. Moisturise your under eye area with an soothing eye cream/ gel. This helps to keep the under eye area hydrated, which will help brighten the eyes and make applying product easier. 3. Blend this out using your ring finger, this is the most gentle finger to use around delicate areas like the eyes. 4. (Optional) You can choose to use a primer under your eyes before applying your concealer if you really want that long-wearing ability. 5. (Optional) Blend the primer out using your ring finger again. 6. Now it's time for concealer. Brightening or correcting, choose whichever concealer is right for you. I've chosen for a natural look under my eyes so I've used a lighter coverage concealer. Dot it around your eye. 7. 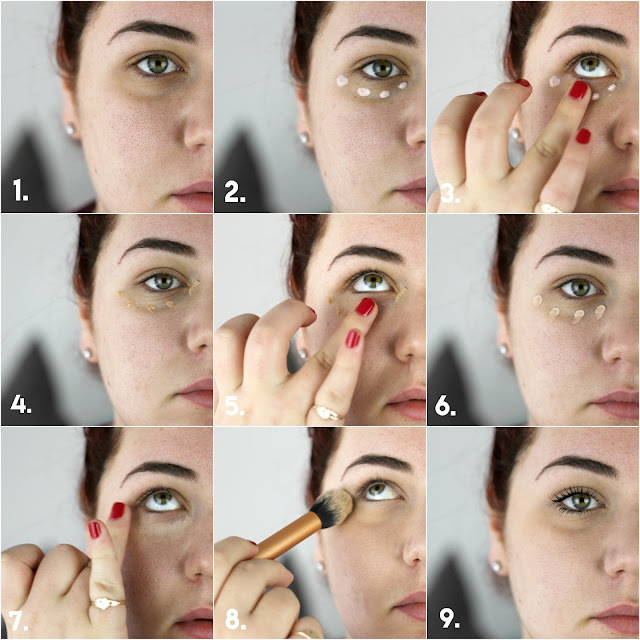 Same as above, blend out the product with your ring finger, taking care to pat the product into the skin as opposed to dragging it along the eyes. Using this method eliminates the possibilities of damaging the sensitive skin under and around your eyes. 8. Using a translucent powder and a small brush, set your concealer by using the same patting motion. After setting your concealer, it shouldn't budge or crease. 9. Ta-da! 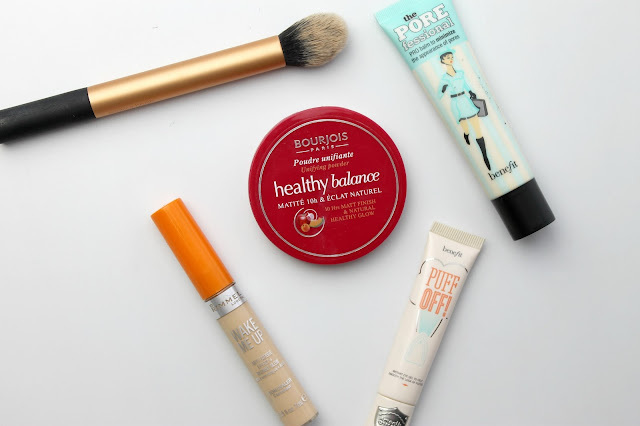 Now you're on your way to long lasting makeup! Flaunt that concealer! To save time and skip a few steps, mix in your eye cream with some primer and cut your concealing time in half! Haha it's something we don't really give much thought but it does make a difference! Glad this was helpful Ella! Let me know how you go trying these out! It's OPI's Dutch Tulips- I love it so much! Oh dear, I've always swipe my foundation all over my face including under eye areas, didn't know that it's not a wise thing to do. This is great tips, Anjelique! Hope this can help you- let me know how it works out! my concealer never used to crease but now its started and its only the beginning signs of my slow decline into old age. omg...fine lines...i have fine lines... LOL. Love this post!! Such great advice..